Your child is singing and humming all of the time, and he loves to tinker on the piano. Your third grader is begging for a violin. She says her friend has been playing since she was three years old and “she’s awesome.” Your seventh grader wants to join the jazz band and brings his grandfather’s saxophone down from the attic. Now squeaks and squawks are coming from his room at all hours. And so you are contemplating music instructions for your child with a mixture of excitement and apprehension. You picture your little prodigy performing before the president by special invitation to the White House. But the timeline between where your child is now, as a beginner, and his curtain call at the White House, represents a considerable investment of money and time—years of commitment on his part and yours. Is it all worth it? And how do you begin? Your child doesn’t have to be a prodigy or a professional musician to benefit from music education. Studies have consistently shown that music has a profound developmental impact on children at all stages. A recent study conducted at the University of Munster in Germany concluded that musical training in early childhood literally expands the mind, altering the anatomy of the brain. In this study, researchers looked at images of the auditory brain regions of trained musicians and non-musicians. The musicians showed considerably higher brain activity in response to piano notes being played. And the more years of training, the more brain activity was detected. This study sought to build on the work of Dr. Frances Rauscher, a psychologist at the university of Wisconsin at Oshkosh, who found that musical training (in this case, piano instruction) appears to dramatically enhance a child’s spatial-temporal ability. Spatial-temporal ability, or abstract reasoning, is considered necessary for math and science. Dr. Rauscher concluded that music instruction is better at developing these abilities than computer instruction. Other studies have also shown that special- temporal enhancement in preschool-aged children receiving musical training. Music has been found to facilitate reading ability, math and science aptitude, and language. Children of all ages receiving music instruction score higher than non-musical children on standardized tests in all subject areas. U.C.L.A. Professor, Dr. James Catterall, in his 10-year study of 25,000 students, found this to be true across socioeconomic groups. According to 2001 Profile of SAT and Achievement Test Takers from the College Board, testers who had coursework and/or experience in music performance scored 57 points higher on the verbal portion and 41 points higher on the math portion or the SAT than students with no music experience. Studies also show that academically under-performing students are even able to catch up to their peers when music instruction is provided for them. In addition, music provides an emotional boost. A University of Texas study which looked at 362 freshmen found that college-age musicians were emotionally healthier than non-musicians. These musical freshmen have less test anxiety and fewer alcohol-related problems. A 1999 McGill University study found that children with three years of piano instruction exhibited significantly higher self-esteem than children without instruction. The researchers in these studies all discovered a correlation between musical competence and high motivation, positive self- perception and high cognitive competence—all factors that boost self-esteem. These research findings only reinforce what musical families have known all along. Parents who have committed to their children’s young life of music know that music instruction benefits that entire family. The way music fills the house when the children are practicing and listening, the potential for parent-child bonding during practice and concert-going, and the community-building with other musical families are all benefits to having musicians in your household. 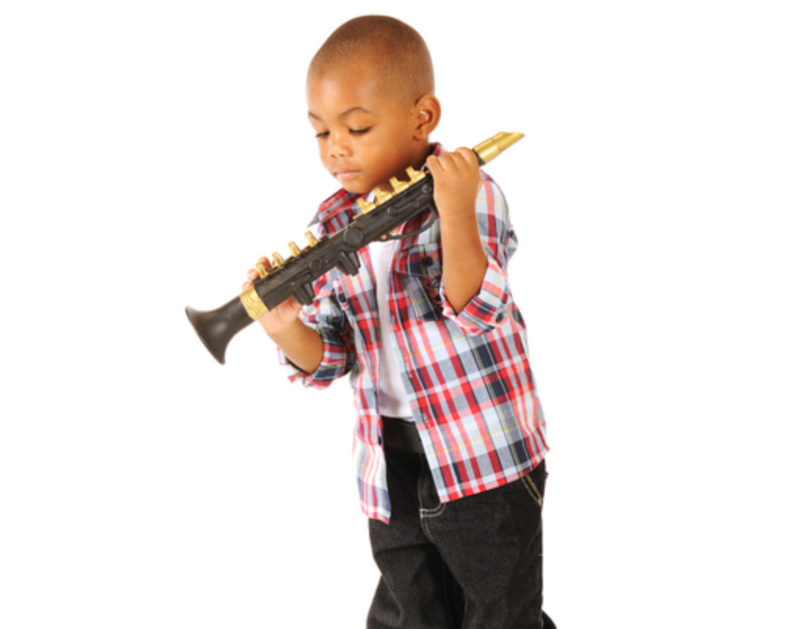 Through music, children are introduced to discipline and achievement in a process that is self-reinforcing. There is no better way, for example, to learn the concept of “practice makes perfect” than when a child is learning a new piece of music that is at first foreign and difficult for them. Through the consistency of breaking the endeavor into smaller tasks and working at it daily, the once-foreign concept is mastered by the student and becomes a part of their repertoire of skills. This kind of effort translates to every other area—school, sports, and even relationships. It breeds confidence and develops invaluable coping skills for life. Everyone is in agreement that it is never too early to introduce children to music. Exposure to different kinds of music through singing and recordings can begin while the child is in utero. Teaching rhythm and movement can begin in infancy. There are a wide variety of early music toddler-parent classes that emphasize the joy and fun of music. These kinds of activities help to introduce children to the world of music and lifelong music appreciation. They also prepare the child for formal instruction. The Suzuki Method, by which violin, viola, cello, piano, and guitar instructions are available, encourages formal lessons for children as young as three years old. In fact, the cornerstone of Dr. Shinichi Suzuki’s Talent Education Philosophy is that all children can learn to play an instrument the same way they learn their native language. Thus, an early start is preferable. The Suzuki Method is designed for the young student beginner with an emphasis on ear training and developmentally appropriate physical techniques that increase in difficulty as the child matures. More traditional methods of instruction, which tend to focus on music reading mastery, are more appropriate for children six years and older. The ideal age for beginning instruction is also dependent on which instrument is chosen. There are plenty of piano methods designed for small hands. Violins, violas, cellos, and guitars all come in smaller sizes that graduate up as the child grows. However, other instruments—like most of the wind instrument—are too big for young children. By ten, children are generally big enough to handle most full-sized instruments. Parents deciding on music instruction must consider the maturity of the child and their own level of interest and commitment. As Lawrence Wheeler, associate professor at University of Houston ’s Moore School of Music and Founding Director of the Greater Houston Youth Orchestra, points out—the younger the children, the more parental support is required. Even if the child initiates instruction, he needs a parent to manage the process. The parent is responsible for regulating practices, communicating with teachers and staying on top of all learning and performing opportunities. It is the rare child who stays motivated every day without some prompting from a parent now and then. For most children, interest ebbs and flows. Thus, it is the parent who has to help bridge the periods when their child is not feeling motivated, especially very young children. Also, parents have to be careful about crossing the line between motivating and pushing the student. At some point, the student must own the process and fully embrace music instruction for himself. Wheeler advises that if a child begins too early and parents are pushing too hard, at some point the child will “short-circuit the whole effort” with a refusal to continue to cooperate. At this point, progress comes to a halt. Parents must be mindful to keep the musical endeavor balanced—to challenge the child while providing positive and rewarding experiences. This is true for children of all ages and at every stage of the process. Once you have decided that the time is right, you must find a teacher. As with most kinds of shopping, word-of-mouth is the most effective course. If you know someone is receiving instruction, ask them about their teacher. They likely can give you several names they collected during their own search. Other good sources are music stores (they often have a community board where teachers can post business cards and ads) and local school band and orchestra directors (they often know the names of their students’ private teachers). Also, the music departments of local universities and colleges often have preparatory programs. University of Texas at Austin, for example, has the String Project, which is a comprehensive Suzuki program. Rice University ’s Shepherd School of Music, University of Houston ’s Moore School of Music and Texas Christian University in Fort Worth all have preparatory programs. When you choose a teacher, you should look to the long-term. It is very important that your teacher’s expectations and commitment are in line with your own. Consider whether you are looking for an achievement-oriented teacher who is known for producing award-winning musicians or a more relaxed, slower-paced teacher whose focus is less goal-oriented. Likewise, if your child does not function well after long car trips, a teacher whose studio is fifty miles away may not be optimal for you. You should be realistic and up front about these issues at the outset. Once you have found the right teacher, you can take a deep breath, congratulate yourself and relax. He or she will help you find an instrument and then direct your steps going forward. For more information on the Suzuki Method of instruction, a bookstore, and instructor locator. Everything piano--- from downloadable practice charts to composer bios.